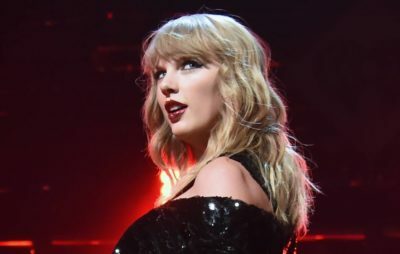 Last week, many music fans sneered at Taylor Swift’s country-tinged cover of Earth Wind & Fire’s “September.” EW&F’s original was suddenly sacrosanct and not to be covered – and especially not with banjos! How dare she! There is a prevailing trend in music fandom and cultural commentary right now to dismiss any acoustic cover of a pop, R&B, or rap song as minimizing the impact of the original or whitewashing it in a generic way. While I recognize that there is an amount of inherent bias in people only enjoying a song once it has been covered by a white singer on an acoustic instrument, the idea of summarily discarding all such covers seems wholly ignorant of the power of music as an artform. Before music existing as recordings, it existed as sheet music and oral tradition. There was no concept of hearing the song “the way it was meant to be heard.” Yes, you could follow the marking in the transcription perfectly or exactly mimic the way that song was taught to you. But music was necessarily spread by reinterpretation. This extended into the era of modern recorded music in the form of cover songs. In the Doo Wop era it was common for the same song to be recorded by multiple acts. The Beatles got their start covering R&B hits like “Please Mr. Postman” in a rock style. 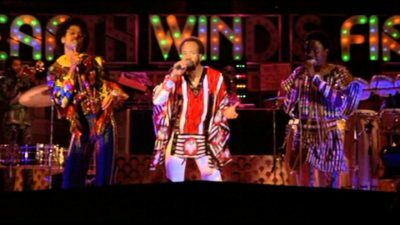 Later, Earth Wind & Fire had a massive hit covering The Beatles’ “Got To Get You Into My Life” in an R&B style (for the Sgt. Pepper’s movie). Both covers broadened the appeal of the originals without erasing their impact. This process is rife with theft and appropriation, and I don’t mean to suggest that we’re worse off now that originating artists are able to receive and maintain attribution more readily. However, I think this new trend of sneering at “earnest” covers is a bad thing for music fans and critics alike. The furor over Swift’s cover of “September” made me think about one of the most popular songs of all time: Dolly Parton’s “I Will Always Love You” … which is exponentially more known as a Whitney Houston song. As with “September,” both versions of the song are recognizable as the same work with the same inherent structure. Houston’s version strips the slide guitars of the original and adds in many tired R&B and soft-jazz tropes that are the equivalent of a country banjo. She also lengthens notes and adds melisma. Houston used the good bones of the song to broaden its existing appeal. In that case, the broadened appeal was to bring the song first to a R&B audience, and then to the wider pop audience. Nothing about her cover lessened the original or erased its impact (and made Dolly Parton a TON of money). And you know what? Others won’t. Some people – me included – just dig acoustic guitar and piano covers and have little use for more produced originals of *any* genre. There is nothing inherently “better” or sacred about an original or grander arrangement of a song, just as there is nothing inherently better about playing a song on an acoustic instrument. If the song itself is good (rather than just the arrangement), it will still be good performed in any medium, from electropop to acappella. And what if someone says, “I never liked that song until I heard Swift cover it acoustically”? Is that such a bad thing? Maybe they don’t like male falsetto voices. Maybe they don’t like squalling horns. Maybe they just connect with Taylor Swift. I heard elements of the lyrics and chord progressions in the Swift cover that I never once heard in dozens (if not hundreds) of listens to the original. I unironically love it. It made me appreciate the song more. I think that watered down argument is just as dangerous as people who feel Beyoncé doesn’t deserve to win awards because she isn’t the sole songwriter of her music. You can decide not to like the “Chad and Becky” cover as your own cover of a very valid cultural critique, but there is nothing inherently broken, wrong, or impermissible about them covering the song. Music is unique as an artform because it so readily invites mimicry by even the most untrained performer, and at this time stringed instruments and pianos are the most readily available means of reproduction other than the human voice. To the banjo players of the world, I say: cover all of the classic R&B your little pickin’ fingers can pluck! And to all of the music fans in the world, I say: love what you love, but when it’s a cover be willing to interrogate why you love it more than the original.